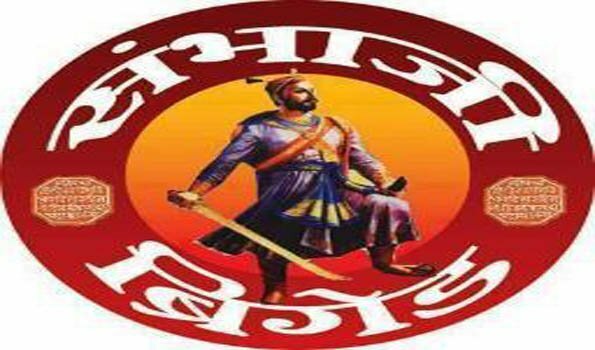 Aurangabad: The city unit of Sambhaji Brigade will contest 30 Lok Sabha and 100 Assembly seats across Maharashtra state. State President of Sambhaji Brigade Adv Manoj Aakare made announcement in this regard on Sunday evening in a 'Swaraj Sankalp Abhiyan' event organised at CADA ground here to end of their abhiyan which was started from March 18 in the state. On this occasion, Tipu Sultan seventh descendant of Mansoor Ali Shah Tipu was present .Addressing to the gathering Adv Aakhare said that , there is no alternative except Sambhaji Brigade for equality(Samata) . Sambhaji Brigade opted principle of Shivaji Maharaj, Sambhajiraje, Mahatma Jyotiba Phule and Dr Babasaheb Ambedkar with bahujan youths now become strong in the state.We will play important role in state politics to decide who will be next chief minister, he predicted. While attacking on BJP led present and Congress led past goverNment General secretary Sourab Khedkar said that, both of the government played divide to rule between communities for their gain and given false promises to the peoples.